The seventh report is dedicated to the analysis of stereo-window violation issue and use of floating windows in various S3D movies. The report presents detailed (333 pages) evaluation results of 10 S3D films, which were natively captured or post-converted. We thoroughly describe the stereo-window violation effect and how it can be fixed using a floating-window technique. Next we provide a brief explanation of how to understand charts and visualizations in this report. We offer a detailed analysis of 10 films. 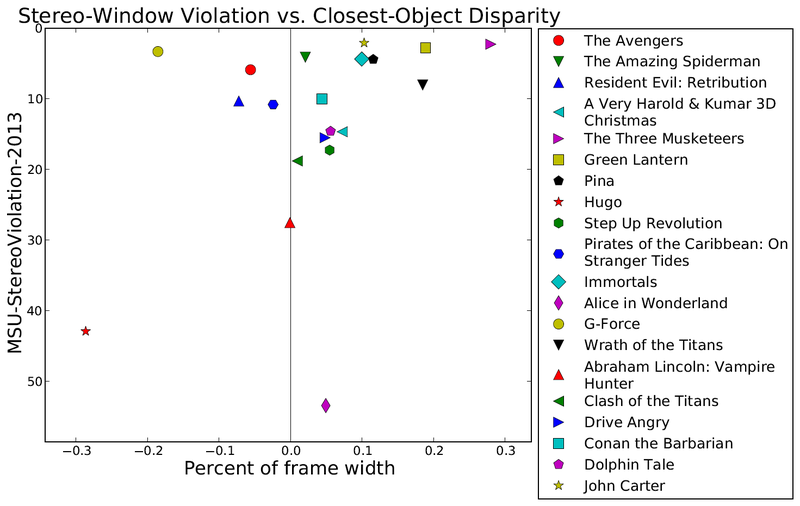 This analysis comprises per-frame charts showing floating-window and closest-object disparities for both the left and right borders of the screen. Visualizations of frames with the most noticeable stereo-window violations are provided under the corresponding charts. 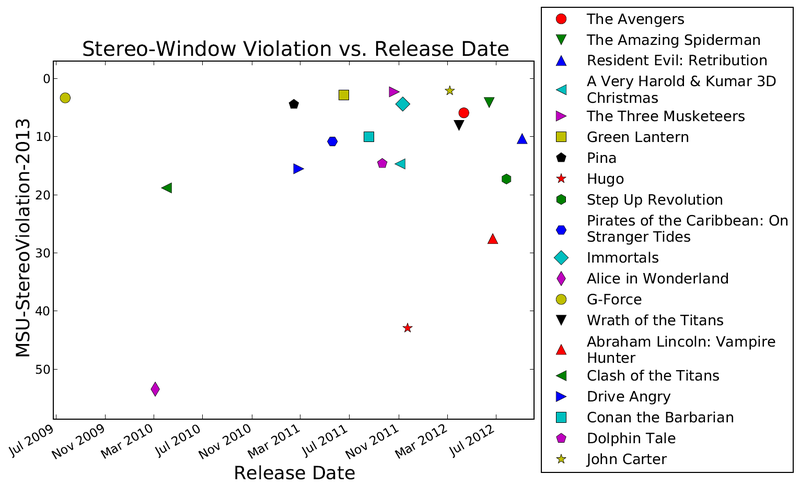 The report concludes with an overall film comparison. 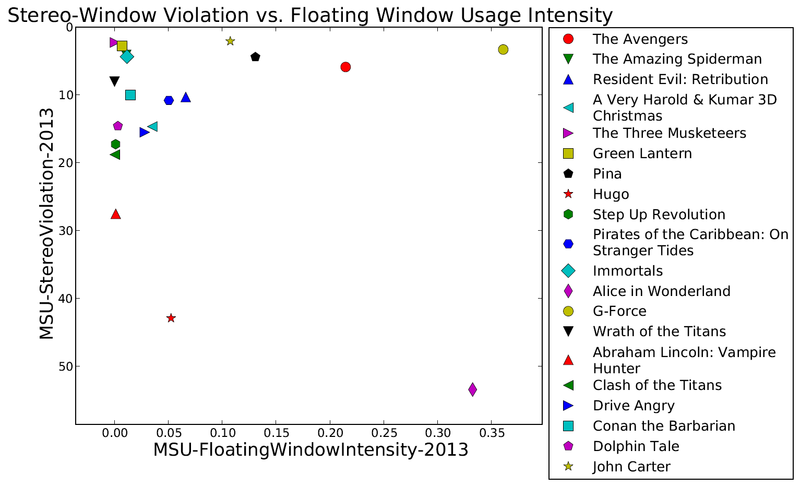 Here, we show charts depicting the noticeability of stereo-window violations and the intensity of floating-window use for each film. Full report (333 pages) is absolutely free but download is available only for industry professionals (due to publication of real mistakes in the post-production process). You will get the download link for all reports (Reports #1–7) via e-mail.